Putting students on the path to graduation. The secret behind the success of UNCF’s 37 member colleges and universities and their students. Bringing communities together for education. Closing the national college achievement gap. Advocating for K-12 education. UNCF and America’s mayors. The power of an anonymous investment. 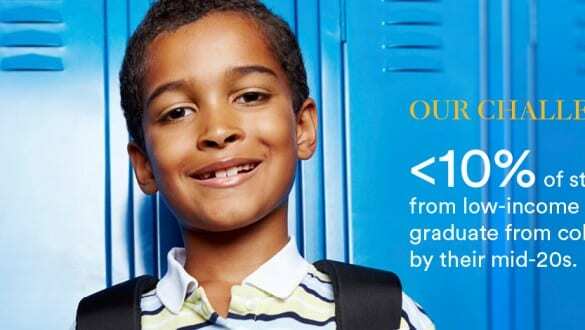 These are just some of the highlights featured in UNCF’s most recent annual report. 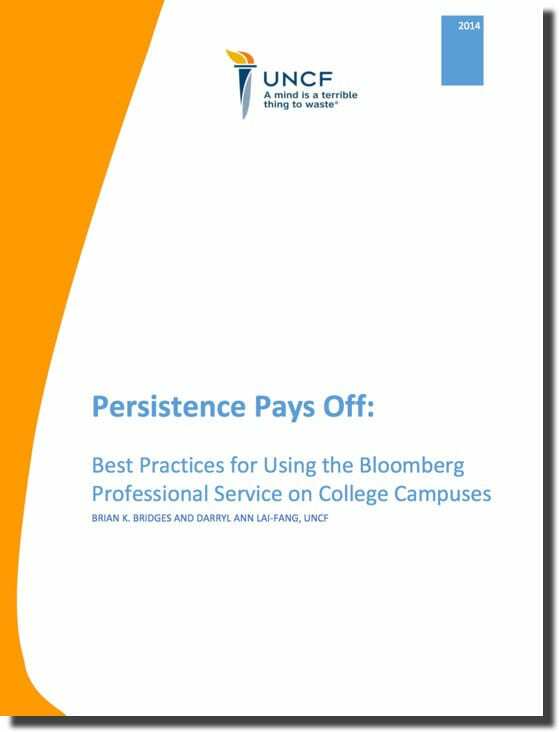 This white paper documents the experiences of those institutions and lessons learned in integrating the Bloomberg Professional Service, commonly referred to as “Bloomberg terminals,” into their campuses and curriculum and identifies best practices in promoting greater usage. 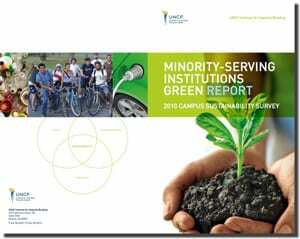 This MSI Green Report, the first to highlight MSI sustainability efforts, is designed to serve as a catalog of sustainability activities already underway at institutions founded to educate America’s historically marginalized groups. 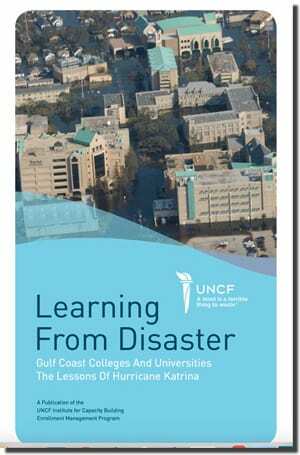 It will serve as a campus sustainability guide for students, parents, college administrators and others. The purpose of this white paper is two-fold: First, to make the case that strategic enrollment management, properly designed and carried out, can be a catalyst for transforming American higher education. Second, to offer private HBCUs and other minority-serving institutions a model for success in enrollment management. 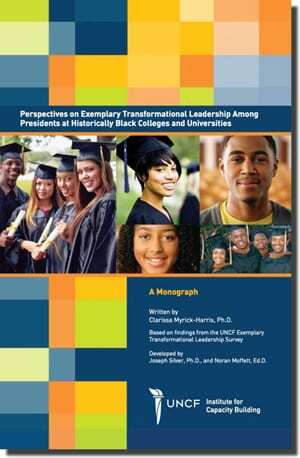 The survey and this publication represent aspects of a multi-pronged initiative to provide assistance to the leadership of private historically black colleges and universities (HBCUs) in the UNCF network. The initiative is based on the premise that stable, strategic and informed leadership, along with engaged and well-functioning governing boards, is essential for the continued viability and sustainability of any higher education institution. More than a mere recording of events, this report is designed to be a practical tool kit —a checklist and a best-practices manual for colleges and universities across the country. 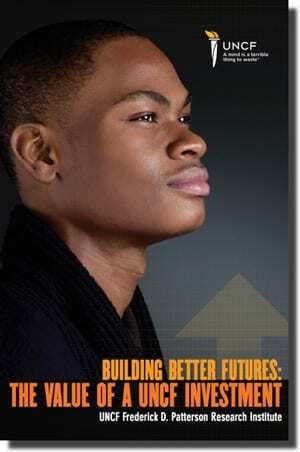 The role to be played by youth is just as important as that of leaders and parents. They are, after all, the stakeholders whose response to reform will determine if it succeeds or fails. Of the three groups, they are the only one with firsthand knowledge of what happens in the classroom. And, all too often, they do not have a seat at the table during reform discussions. 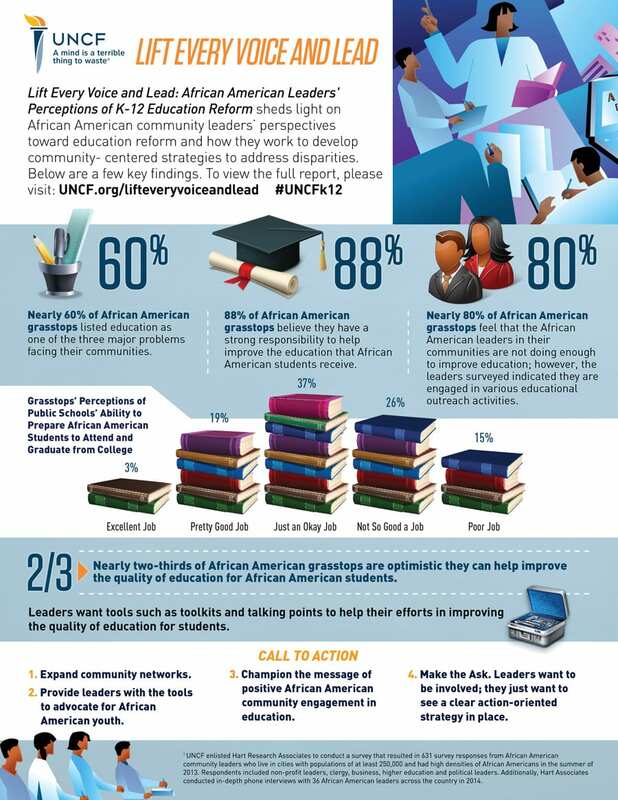 This study, the third installment of UNCF’s African American perceptions research on key issues in K-12 education, begins to remedy that omission. A one-page infographic highlighting the results of the research. 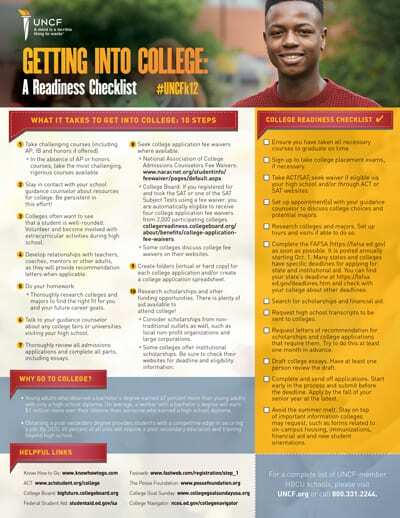 UNCF’s college readiness brochure provides a comprehensive college readiness checklist, outlines the pivotal steps in preparing for college, and shares additional websites and resources that are useful to students as they prepare for their post-secondary journey. 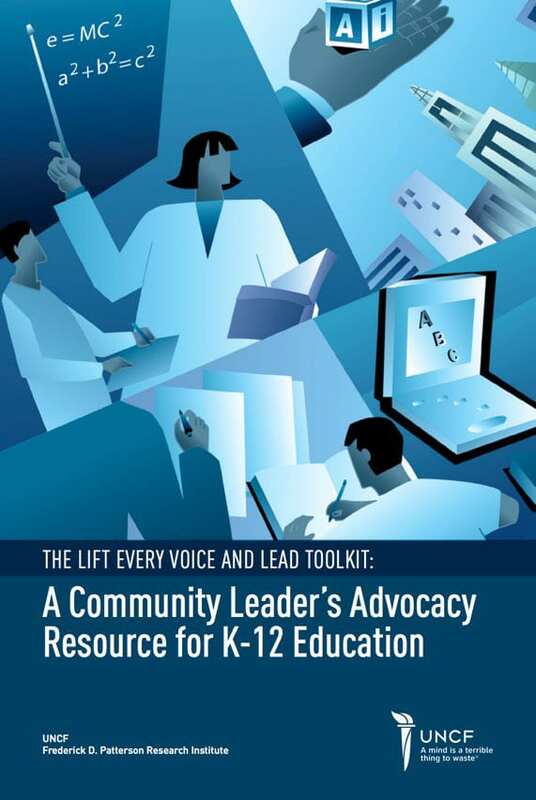 The Toolkit, a complement to “Lift Every Voice and Lead: African American Grasstops Leaders’ Perceptions of K-12 Reform”, provides tangible tips, strategies, talking points and resources to help grasstops who are serious about using their influence to make transformational change for all youth. 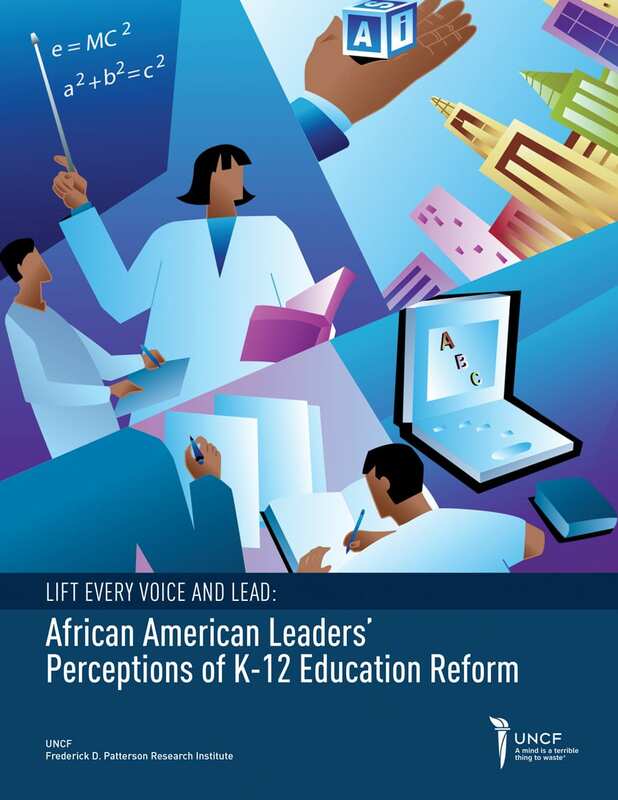 This report, issued by UNCF’s Frederick D. Patterson Research Institute (FDPRI), is an authoritative assessment of the potential for African American community leaders—a group of clergy, local politicians, business leaders and education leaders often described as “grasstops” to parallel community members at the “grassroots”—to garner support for K-12 public school reform. But, just as importantly, Lift Every Voice and Lead is a call to action for these leaders to help their communities exert their necessary influence on education reform. 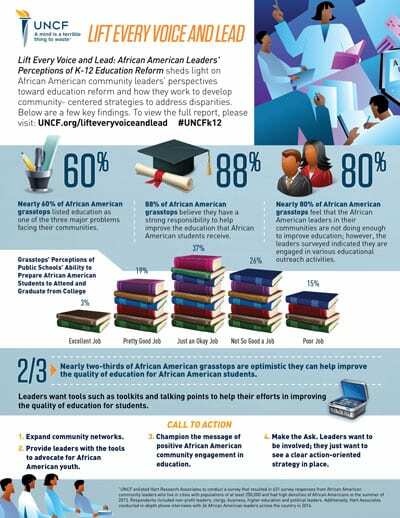 UNCF, the National Urban League, and Education Post produced this joint report, providing tangible approaches to shift the narrative concerning Black educational reform. The findings of the report aim to better engage communities around K-12 education and drive substantive policy changes for Black students. 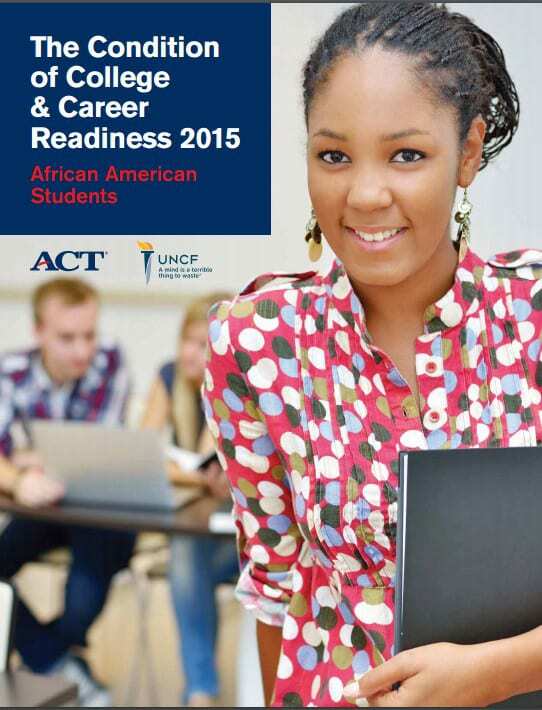 Are African American high school students prepared for college and careers? Are enough African American students taking core courses that will prepare them for college and careers? 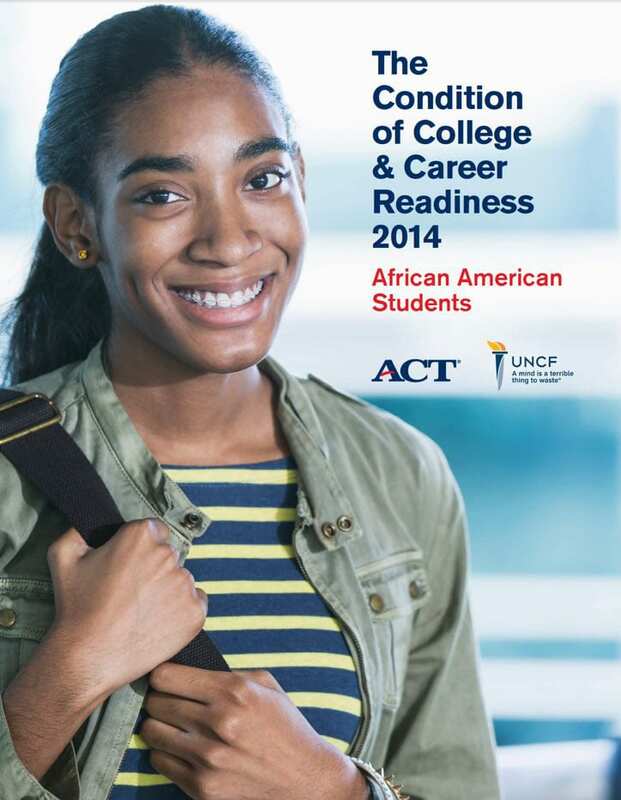 The UNCF and the American College Testing Program collaboratively released a report providing a national snapshot of the academic performance among African American students in the high school graduating class who took the ACT college readiness assessment. 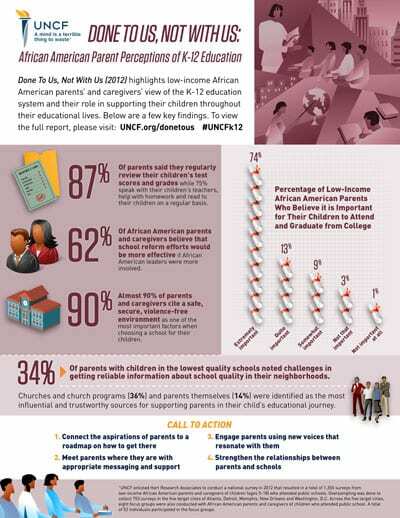 As the data in this report indicate, many African American students do well in school and important progress has been made in increasing educational attainment over the last several decades. But significant gaps remain between current levels of achievement and the more equitable levels of college and career readiness needed. 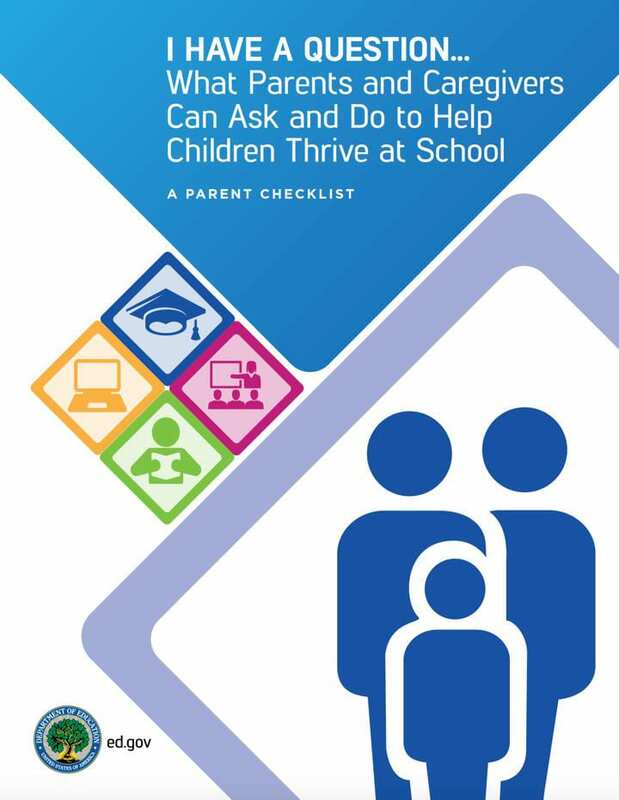 This tool provides you with a set of questions to ask, and important issues to consider when approaching your child’s teachers, principals and counselors about his or her development. As a parent or caregiver, it can be hard to know how to support your child’s learning, but asking your child’s educators the right questions is a good place to start. 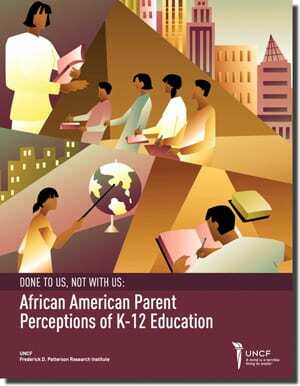 This publication explores how low-income African American parents view the K-12 education system and their role in supporting their children. 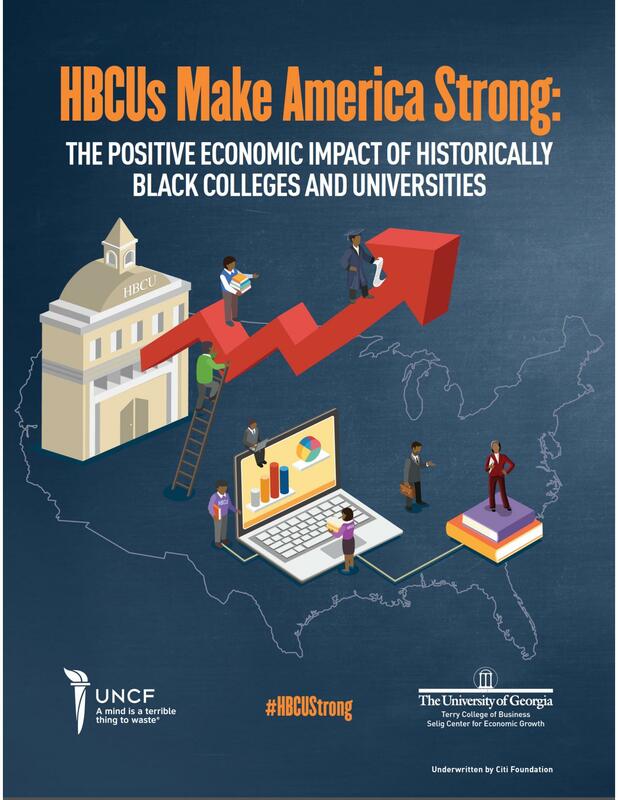 The landmark study, commissioned by UNCF’s Frederick D. Patterson Research Institute, shows that the economic benefits of HBCUs extend beyond the students they educate. They’re equally important to the regions and communities that HBCUs have served for more than 100 years. 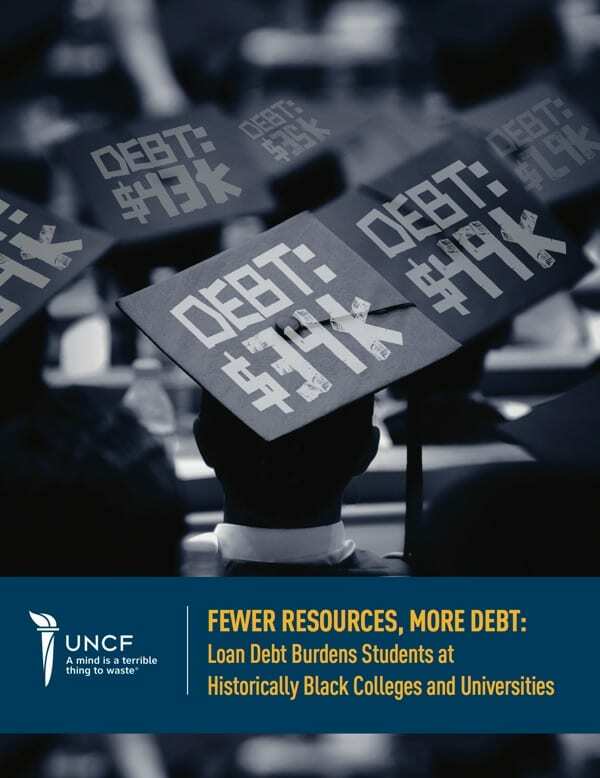 This report examines the rates, amounts and distribution of student loan debt among HBCU students relative to their non-HBCU peers and offers analysis that focuses solely on undergraduates attending four-year public and private, non-profit institutions. 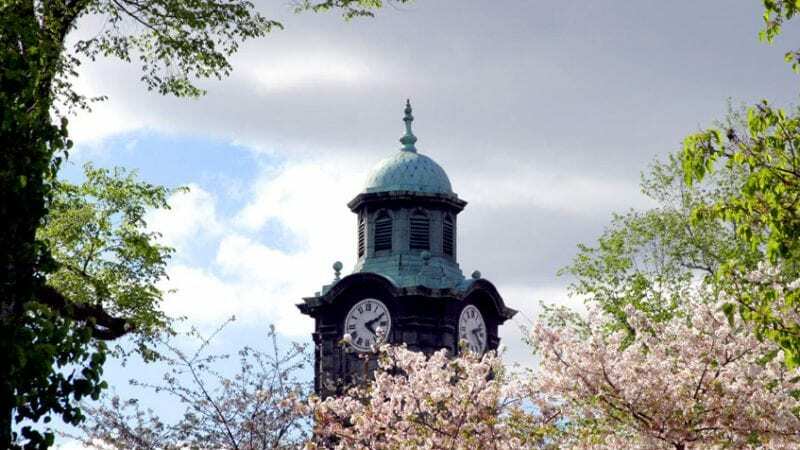 Programs that provide technical assistance and financial support during the reaffirmation process are instrumental in sustaining institutional compliance, especially for HBCUs and other minority-serving institutions. 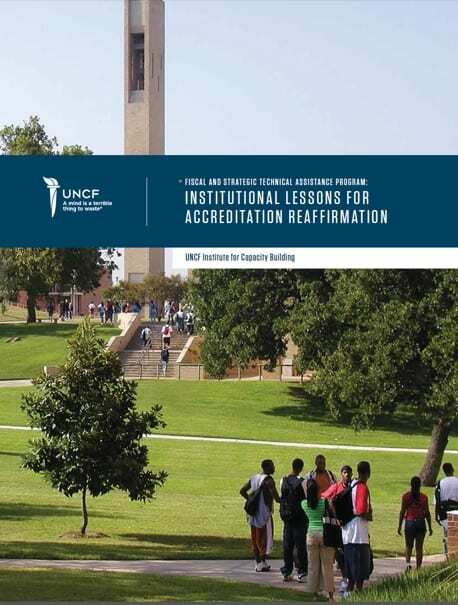 This report shares key lessons and best practices to better inform the accreditation efforts of low-resource institutions. FDPRI collaborated with the National Student Clearinghouse Research Center to conduct a study to examine graduation rates using more comprehensive data than what is used in current calculations. 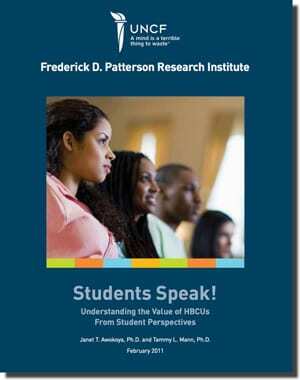 Specifically, this analysis examined 19 four-year private UNCF-member, baccalaureate-level HBCUs. Historically black colleges and universities (HBCUs) and Hispanic-serving institutions (HSIs) represent a small percentage of all institutions in the U.S. but educate a large portion of all black and Latino students, many of whom are low-income and first-generation college attendees. Given the population growth of these students overall, both HBCUs and HSIs are in a distinct position to help move the country’s college completion agenda forward. While research consistently shows the earning power of college degrees, those returns are best weighed against the cost of attending post-secondary institutions, HBCUs included. 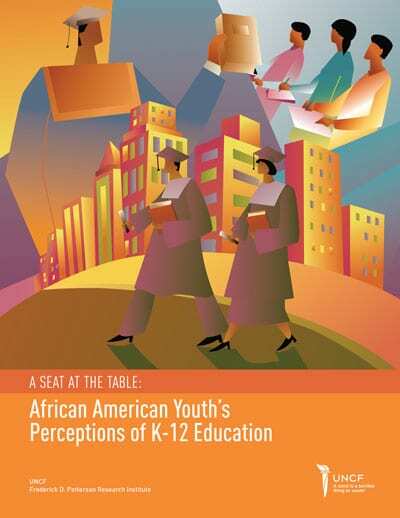 Our 2012 FDPRI report found that when students’ economic status and academic preparedness are controlled for, HBCUs retain and graduate African American students at higher rates than non-HBCUs. 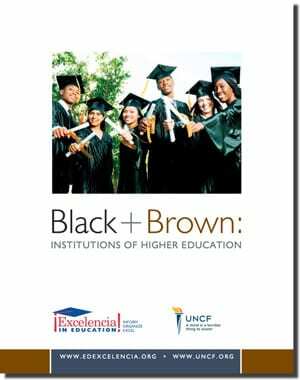 This 2014 supplement to that report narrows the focus to UNCF’s member institutions and shows that these private HBCUs retain and graduate students at rates competitive with other post-secondary institutions. 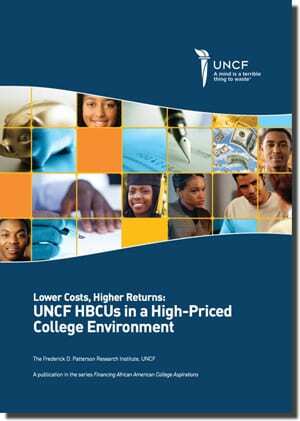 The 2009 FDPRI report revealed that total charges at UNCF’s member institutions were lower than at comparable institutions. 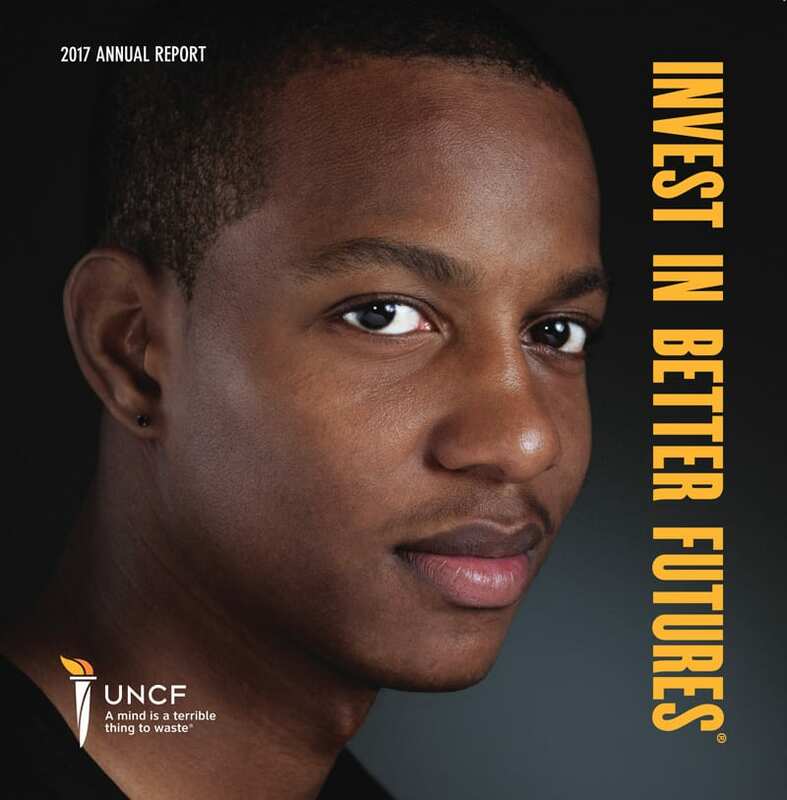 This 2013 updated report shows that UNCF’s member institutions cost on average 26 percent less than comparable institutions in the 2012-2013 academic year. 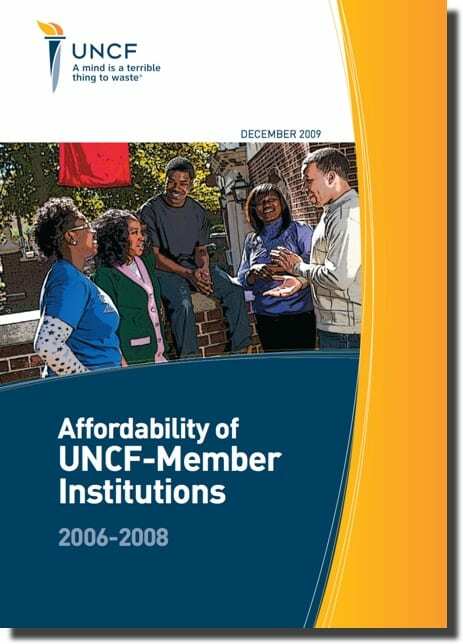 UNCF’s member institutions remain an affordable, private post-secondary option. 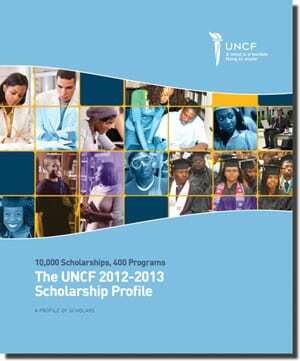 Each year UNCF awards well over 10,000 scholarships, fellowships and internships through 400 programs. These programs are supported through investments—by corporations, foundations, families and individuals—in the futures of the students who receive the scholarships, fellowships and internships. This report documents the impact of UNCF’s scholarships by analyzing the effect of award dollars on African American scholarship recipients’ likelihood of graduating. The study confirms that students who receive UNCF scholarship dollars are more likely to be retained for their second year and later graduate at higher rates than the national profile of African American college students. 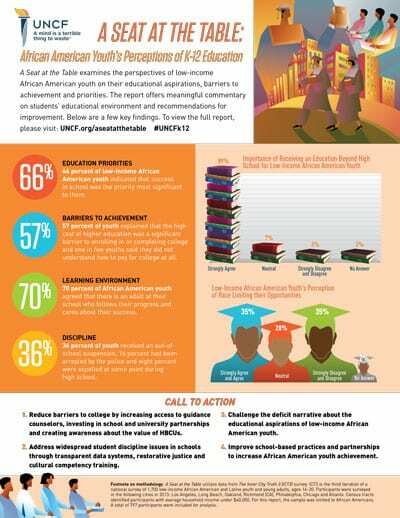 This report illustrates that when the impact of student level factors (academic preparedness and socioeconomic status) is taken into account, HBCUs often do a better job of retaining and graduating students than other institutions that enroll similar populations. 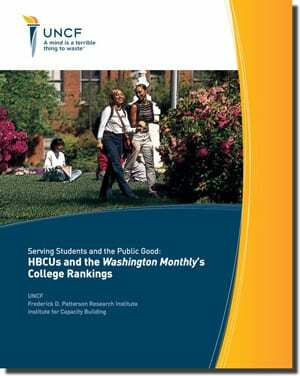 Using the Washington Monthly‘s College Rankings as source data, this report demonstrates the contributions of HBCUs to the social mobility of disadvantaged students by disproportionately helping them earn college degrees. The report provides a window into what students who are currently attending private HBCUs have to say about why they chose their respective institutions and what they have valued most about their experiences on these campuses. As higher education institutions continue to grapple with the challenge of demonstrating their value in the face of increased pressure to attract, support, and graduate their students, it is important to understand student perspectives; that is, what students themselves say they value in institutions of higher learning. 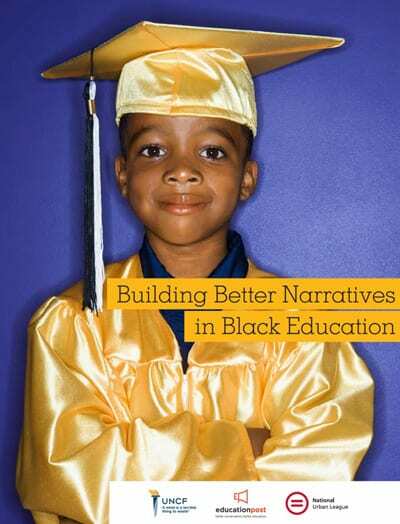 In October 2015, the Gallup-USA Funds Minority College Graduates Report found that graduates of HBCUs are twice as likely as black non-HBCU graduates to strongly agree that their college prepared them well for life and the workplace. The report is based on responses from adults who received bachelor’s degrees between 1940 and 2015.